See also original Comodo Positive SSL Wildcard Certificate plan location on their website! 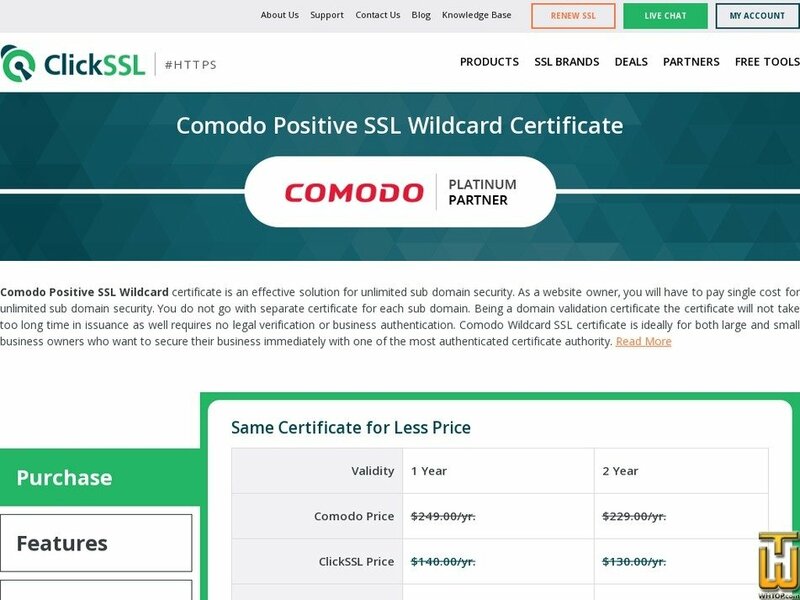 Comodo Positive SSL Wildcard certificate is the best affordable solution to secure sub domains of the main domain name. There is no need to take separate SSL certificate for main domain's sub domains which can save your money and time on certificate management. Buy it from ClickSSL and save 60% on it. Various SSL certificates starting at $39/year.